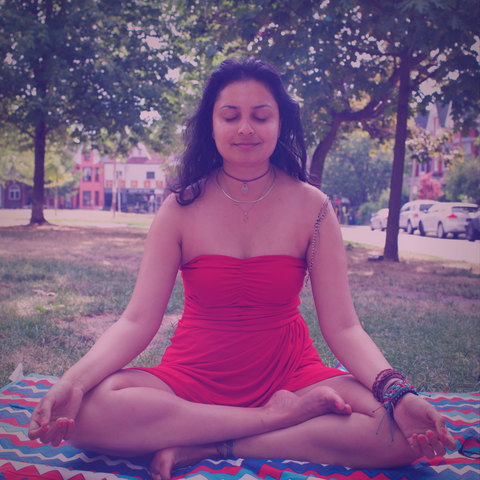 Meditation for Beginners - How I started and you can too! Hi guys! It took me some time to believe that I have something important to say and that anyone would ever listen to me. But finally, here’s my very first podcast and I hope you’ll enjoy listening to it (and all of the next episodes)! In this episode, I wanted to talk about the most important thing anyone on this planet could do in order to improve their lives in all aspects (business, personal, health, relationships, and so on). Can you guess what is it? *drum roll* It is none other than that thing called “Meditation”, with a capital M.
Meditation has been in the buzz especially with the Millennials. A lot of people are trying meditation mainly because Tim Ferriss and other celebrities have been espousing the benefits of it. I have to say, meditation has truly been that one thing that has helped me level up in every area of my life. It has improved not only my physical body, but also my mental acuity, my spiritual stance, and my manifestation power. It is a gem of a strategy and whenever I start off with any new client, the first thing I tell them is to start meditating. That’s the first and only thing you need to do in order to improve your life ten-fold, or perhaps, even more! Meditation is definitely one of my favourite ways to get where I want to get to – which is the best version of myself daily and helping inspire others to become the best version of themselves daily (my mission statement). The thing that amazes me about meditation is that it is so freaking easy! I know you probably don’t believe me when I say that – but it truly is. The only difficult thing about it is staying consistent. I’ve been meditating consistently without any breaks for 164 days now (I use an app called Calm to monitor my sessions and keep me on track). So listen to this podcast and let me know your thoughts. I’m more than willing to answer any questions you might have!